At 10 months old Eleanor has been weaning for a good few months now. We’re doing baby led weaning and she really enjoys her food. However I have been desperate to try some new recipes with her. 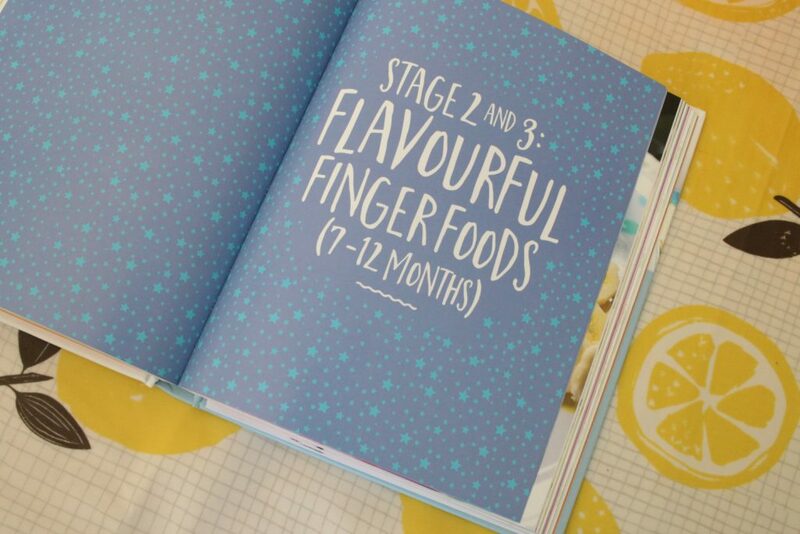 I was sent a copy of the Flavour-Led Weaning Cookbook and flicking through the recipes I got really excited. Now I have to point out that I am fussy, I’ve always been fussy. Until the age of 16 I didn’t eat potato, rice, pasta and no vegetables at all at that age. I do NOT want that for Eleanor. I want her to experience a wealth of flavours and want her to be excited about food. 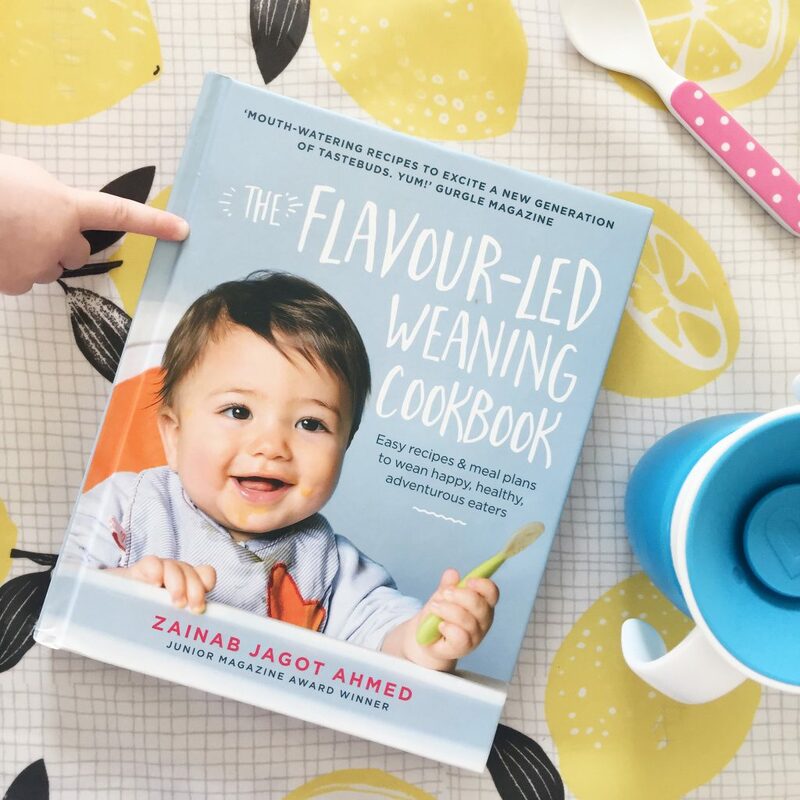 The Flavour-Led Weaning Cookbook is written by Zainab Jagot Ahmed and is packed full of recipes. She says the objective of flavour-led weaning it to prepare your little one for the usual flavours that you eat as family. Flavour-led weaning works alongside however you choose to wean your baby. The book is laid out in stages: 1 being purees through to stage 4 which is big table meals (family meals). As we’re doing baby led weaning and my daughter is 10 months old I only flicked through the first stages. Here you’ll find lots of traditional weaning blends like strawberry, basil and banana puree and tangy apple dhal. I would have loved if the chunkier meals (ages 10-12 months) were in family portions instead of baby portions. They’re all meals that we would eat as a family like mushroom and broccoli risotto (one of Eleanor’s favourites) and I’ll have to adapt the recipe to make it for the 3 of us. I think Zainab does shy on the edge of caution in regards to choking and making sure things are very soft at 6 months but you just need to go with your gut instinct. For me, I’m using the whole cookbook rather than sticking to the age ranges, but if you are traditional weaning then they are a helpful guide. There’s a lot of different flavours for you to try with your little one. For example I loved the addition if dried apricots to a bolognese, I’d never thought of doing that before. Most of the recipes look like they’ve got a long list of ingredients but they’re made up of a lot of herbs and spices so don’t be put off. You might want to top up on your spice rack. 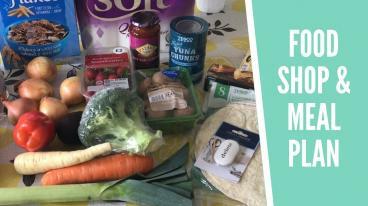 There’s also a list of food essentials which will help you stock up when you’re starting out. Every stage (except family meals) comes with a weeks meal plan which is great if you’re starting out. The photography makes me want to try recipes that I wouldn’t usually eat. Like the simple garden vegetable paella, which doesn’t have any meat in, that doesn’t sound like me at all, it just looks so good! There’s quite a few curry and fish recipes that I can’t wait to try. I also loved that at the back of the book there’s a list of what herbs and spices can help as natural remedies. For example, cardamom can help with teething pain and it includes the corresponding recipes to try. 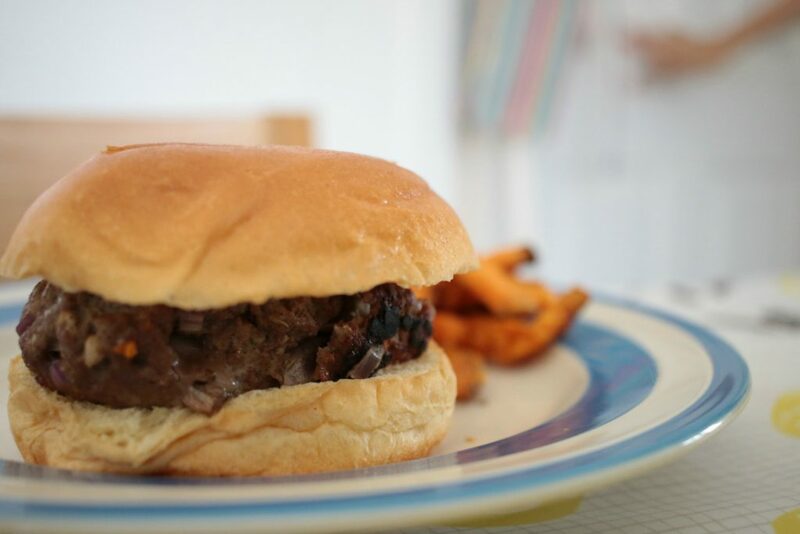 We decided to try the juicy beef burgers for lunch on Sunday with some sweet potato fries. They were super easy to make and took 8 minutes to cook. After I’d prepped the onion and made some breadcrumbs it was just a case of mixing it all together and forming burgers. I popped the cheese in the middle and put them in the fridge to chill. I’d picked up some brioche buns from Aldi which were lovely for me and my husband to have. The burgers were so juicy and my husband gave the recipe a 10/10. Does anyone else put score marks next to recipes or is that just me? 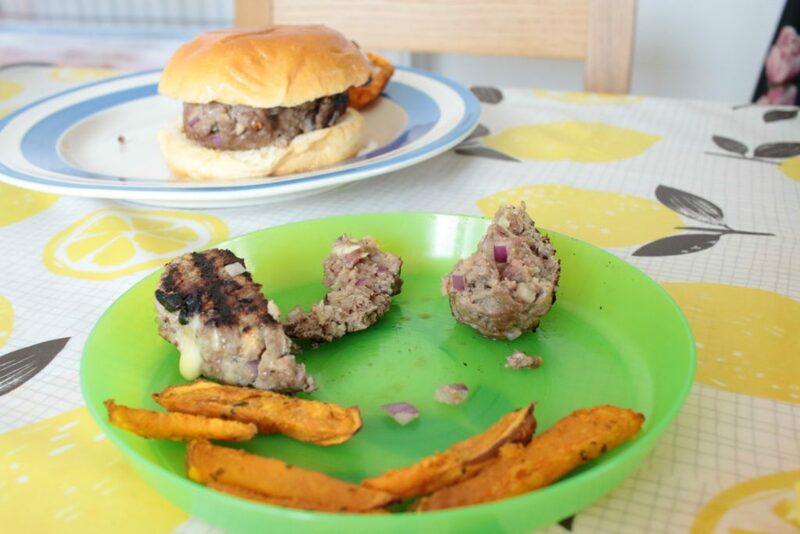 I filmed a what my baby eat’s in a day video (shown below) featuring these yummy burgers. I will be including recipes from this book in every meal plan now. It’s really exciting to try new flavours with my daughter, especially ones that I might not have tried myself either. Disclaimer: I was sent a copy of the Flavour-Led Weaning Cookbook. All opinions and thoughts on the product are my own. This post contains affiliate links. This means that I may receive a small commission (at no cost to you) if you purchase something through the link provided. I won’t post a link to a product that I haven’t used myself and love. Thank you for the support!